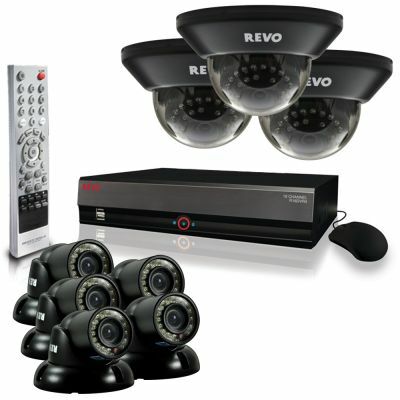 REVO’s professional 8-channel surveillance system is perfect for small to large homes and businesses. 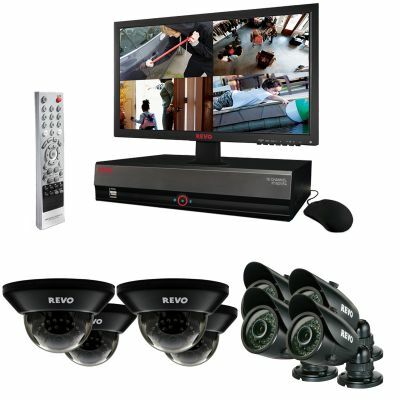 REVO’s 4th generation of professional DVR’s continue to deliver commercial grade type features at affordable prices. 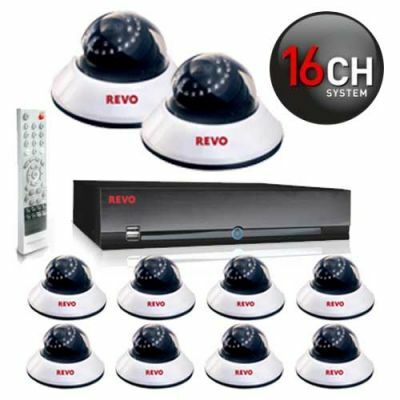 EZLink, Push notifications to most smartphones, as well as full DVR access using your smartphone to control PTZ cameras, search recorded video and monitor audio while you’re on the go, via REVO Mobile, a free app, are just a few of the features of this powerful, professional DVR. 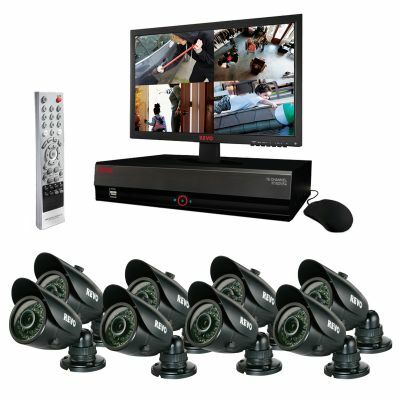 This particular system comes packed with 6 night vision cameras that can see up to 100 feet in total darkness in crisp 700TVL high resolution. All cameras come with 60’ of REVO’s exclusive Quick Connect cable. This special cable handles power/video/audio in one simple click connect cable. 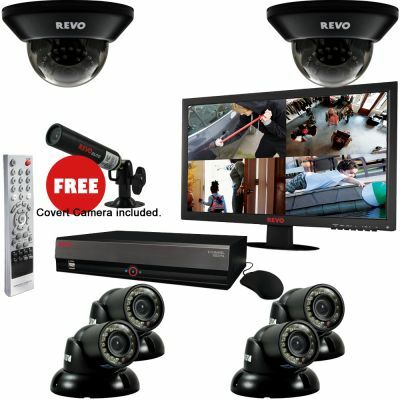 REVO camera’s feature pass thru mounting adding extra security to your system by offering no visible wires when mounted to a wall or ceiling. Four of the cameras are indoor/outdoor mini turret style cameras that are weather resistant and feature a complete metal case housing. The other two cameras are tinted indoor domes with a discrete housing. Advanced. Intelligent. 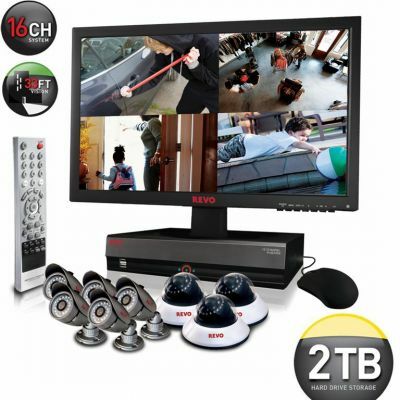 Video Surveillance. REVO! 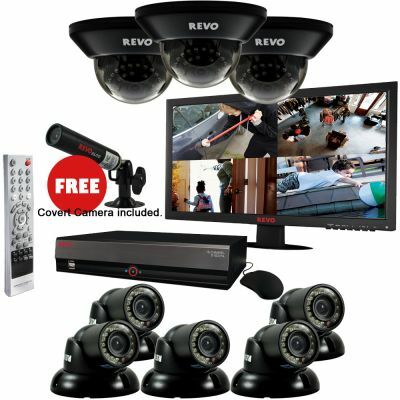 REVO 8 Channel 700 TVL Video Security 2 TB System with 21.5" LED Monitor and 6 Night Vision Security Cameras +FREE COVERT CAMERA!